The road that led Shiny Toy Guns into the abyss — and now, triumphantly, back from it — was fraught with peril, full of steep grades, twists, potholes, detours and dead ends. That the Los Angeles-based quartet has emerged firing on all cylinders is testimony not only to its members' artistic vision but to their personal renaissance. "III," the new album that reunites the original four members whose pioneering synth-pop and DIY ethic made Shiny Toy Guns worldwide sensations so many miles ago, is symbolic of that journey. On "III," their first album in almost four years, the band refines its signature electronic sound with a collection of exuberant, intensely personal songs about life, love, loss and redemption. To create them, though, the foursome — Carah Faye (vocals), Chad Petree (vocals, guitar), Jeremy Dawson (synth, bass) and Mikey Martin (drums) — was forced to heal the fissures that began showing even as they were sharing their Grammy-nominated debut, "We Are Pilots" (2006), to hungry audiences. That rift resulted in Faye departing Shiny Toy Guns for their second album, "Season of Poison" (2008), moving to Sweden and finding her own place as a songwriter (and, she adds, as a human being). Only after Dawson and Martin traveled to Sweden for a series of soul-searching conversations were the friendships that made Shiny Toy Guns such a special unit patched. "We learned that you have to know what's important to you, and what battles you're willing to fight," Faye says. "Most of all we learned you have to take care of your relationships." Those bonds were frayed by 2007 after years of unrelenting touring behind their debut. 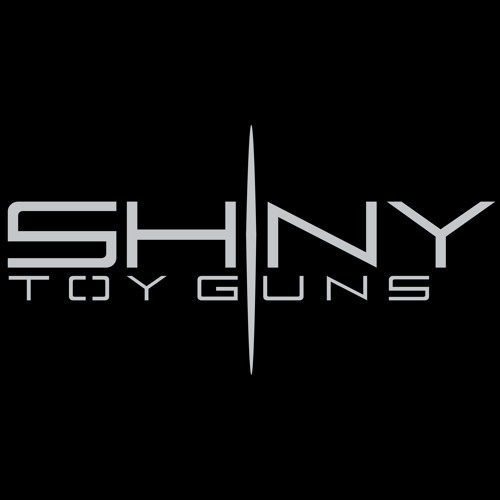 Shiny Toy Guns, after all, had already been on the road for two-plus years by the time they self-released "We Are Pilots" in 2005, selling thousands of copies out of their van. With the hit "Le Disko" leading the way, the album was later picked up by Universal. "We had been playing 300 shows a year, sometimes two a day, sometimes not even in the same city," Dawson says. "When you're living in a bus or airplane, you don't have the ability to deal with real-life trauma. Things started to fester as we were robotically going through the motions. Nobody stopped us, nobody told us to take a break — we never dealt with our issues and the band broke down." The same driving ambition that made Shiny Toys Guns an Internet sensation and road warriors — they were the first band to tour Alaska by ground — sabotaged their chemistry. "We were the people that said yes to everything," Dawson recalls. "Yes, we'll go to Brazil and then back to the U.K. the next day. Yes, we'll do Miami and then London. But as four people who loved each other in the band, we just stopped talking." "It took a toll on everything — our friendships, our health, on who we are as people," Charnow says. "We worked our butts off because there so many bands; we went above and beyond what we had to do. But none of us had a life outside the band." Faye, a California native, had joined the band as a teenager after Dawson and Petree relocated to Los Angeles. In a way, she had grown up with Shiny Toy Guns as "my reality, so the whole experience shaped who I became," she says. So when the band hit the wall, Faye moved to Sweden, the native country of her then-boyfriend and onetime STG sound engineer Daniel Johannson, whom she eventually married. Together, they started their own musical project, Versant. "I went from being weighed down by the dynamics of Shiny Toy Guns to being able to completely start over," she says. "It was a time for me to be stationary, to be domestic, to actually experience the life things that songwriters write about." Meanwhile, Shiny Toy Guns' second album was a less electronic affair, made with Sisely Treasure contributing female vocals. "We were so burned out on our own sound, we put down our keyboards and picked up guitars — a lot of that being influenced by the fact we had toured heavily with the radio rock bands of the time," Dawson explains. "The title speaks for itself. It was the 'Season of Poison' for this band." Still, "Season of Poison" expanded the band's artistic palette and fan base, with two Top 20 rock radio singles in "Ricochet!" and "Ghost Town," as well as a staggering number of placements in film, television, commercials and video games. One of those, their version of the ’80s classic “Major Tom (Coming Home),” was ranked by Adweek.com as the No. 1 song in a commercial (for the Lincoln MKZ) for 2009 and went on to sell 600,000 units digitally. Their version of “Burning For You” was featured in another long-running campaign for the Lincoln MKS. And Shiny Toy Guns' musical fingerprints can be found on songs in films ("The Smurfs," "Wall Street 2"), on networks (HBO, NBC), in television shows ("Dancing With the Stars," "The L Word," "Gossip Girl," "So You Think You Can Dance," "America’s Got Talent," "Smallville," "Ugly Betty"), in video games (Rock Band 3, Grand Theft Auto 3 & 4, Guitar Hero 5, Fifa Soccer 2007, Tony Hawk Pro Skater) and in products (Motorola, Nokia, Apple, Honda, Ford, Burton, Vestal, Volcom). But Shiny Toy Guns' deep-seated desire to create another musical document — their third album —remained powerful. And Dawson knew fences could not be mended from 5,500 miles away. What happened next seems straight out of a movie script: Despite Faye's protestations, Dawson and Martin flew to Sweden for a visit. "We spent hours just catching up," Faye says, "and that was needed, because before anything else happened, we needed to be friends again first." Says Dawson: "We ate pizza and played ping-pong and just talked. We rehashed the funny stuff and fondly remembered all the adventures. And by the time we got to the issues, we found that everything we had thought about the other person was not really true. There had just been no communication." After the trip and some further long-distance courting, Faye decided to rejoin Shiny Toy Guns. "I didn't want to fall down the same rabbit hole, and I didn't want to latch onto something just because it was the biggest thing we'd done in our careers," she said. "I wanted us to be friends who make music together." The Faye who returned to the band, though, was not the same person who had departed. Through her work in Versant, she had become a songwriter and studio hand herself — and Shiny Toy Guns songwriters Dawson and Petree welcomed her into the band's creative circle. "She's very present in the writing of the new album — and it's a great thing for a singer to be saying something that's coming straight from her heart," Dawson says. The process of making "III" was long and sometimes agonizing, but ultimately worth it, Faye says. "We didn't want to settle for the first thing melodically or lyrically." During that process, the relationship between Faye and Johannson (who had joined the band for a short time) ended. Producers Dawson and Petree later teamed up with the legendary mixer Tony Maserati to finalize and sharpen the new 2012 sound of the band, and the dynamic range and reach of their new album reflects maturity and youthfulness at the same time … in a way, a direct representation of all of the band members' personalities. So Shiny Toy Guns are back to their four essential parts, with "III" serving as a document of what friends who've been through the wars can achieve. While not a literal chronicle of what Dawson jokingly calls "the reality show that is Shiny Toy Guns," it nods to mile markers in the quartet's rejuvenation — most obviously in "Carrie," with Petree and Faye trading verses and delivering both sides of the band's story. Also notable is the band's first single, "Waiting Alone," which will be accompanied by a short film titled "#Loverunner." In the film, a girl runs cross-country from Los Angeles to New York City in a quest to join the love of her life, overcoming daunting obstacles posed by a mysterious evil figure. During the making of the video, the band covered almost 6,000 miles through 22 states over 24 days, filming Faye at such landmarks as the Grand Canyon, Pike's Peak, the Alamo and the Empire State Building. "The whole video is about the journey you undertake when you follow your heart," she says. "It's about what you're willing to do to get something."